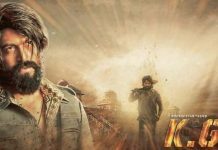 Rangasthalam is a 2018 Indian Telugu-language period action drama film directed by Sukumar and produced by Y. Naveen, Y. Ravi Shankar and C. V. Mohan under the banner Mythri Movie Makers. 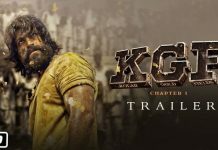 The film stars Ram Charan and Samantha Akkineni in the lead roles, along with Anasuya Bharadwaj, Aadhi Pinisetty, Jagapati Babu, and Prakash Raj. 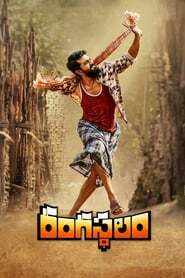 Rangasthalam was released on 30-Mar-2018 in Telugu. Rangasthalam total Box Office Collection was 210 cr. On its first-day, Rangasthalam has collected 46 cr. On its Second day, it has collected 20 Cr. Rangasthalam genuinely takes you back to the 80s and hits you with a massive dose of radios and record dances galore. The film is not just set in the 80s, it also picks a story template from that era and narrates the tale in a refreshingly raw manner. 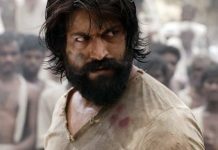 However, Sukumar must be credited for fleshing out the characters well enough. The characters, even the ones that have minimal screen time, are etched only after careful thought. And the best out of all them is Chitti Babu.